Switching gears from fashion to bring you another "Beauty Edit" today! I am so excited to share a product that has completely changed and transformed my skin! If I had to choose one product that has been the biggest game changer in my skincare routine, it is absolutely the Clarisonic Mia 2. Several years ago, I purchased the Clarisonic Mia 1 and instantly fell in love with the gentle cleansing brush system and Clarisonic products. I actually started to look forward to washing my face each morning and evening and really appreciated how truly clean my face felt after each use- I was hooked! 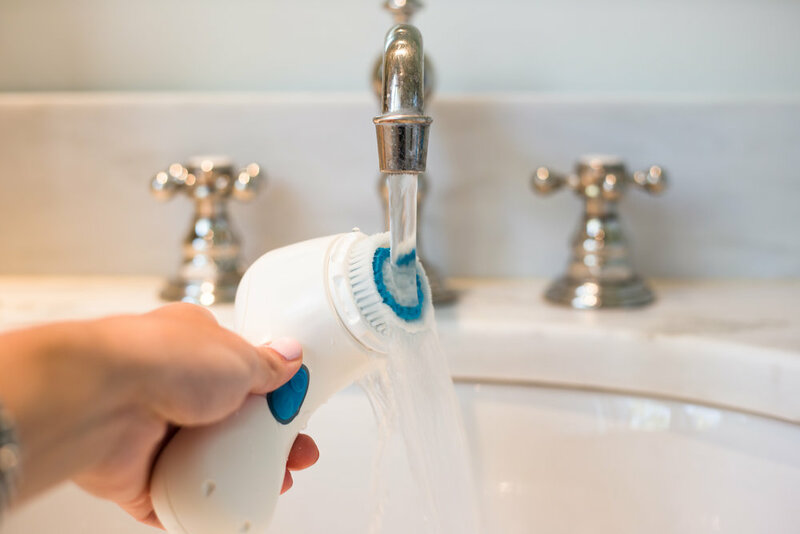 After accidentally leaving my Mia 1 in a hotel, I couldn’t have been more excited when Clarisonic reached out about trying out the Mia 2 cleansing brush and their “Detoxifying Solution” kit. I have been using the Mia 2 with the deep pore head since the beginning of October, and I have noticed a huge difference in not only my skin’s appearance but also the size of my pores. My skin feels more balanced, and my pores are so much less visible. It has made a great difference in clearing up breakouts as well! Using the Mia 2 brush with the deep pore head helps get below the surface and rid my skin of all the impurities. My favorite thing about using the Mia 2 in my skincare routine is how clean and smooth my skin feels after each use- it’s the best feeling! I don't ever have to worry about having any makeup or impurities left on my face, because I know the Mia 2 has gotten everything off and left my skin perfectly clean. Because I have sensitive skin, I love how gentle the Mia 2 is on my face and its two different cleansing speeds. I really don’t think I will ever be able to wash my face without using this brush! P.s. As the holidays start to sneak up on us, I have to mention that the Clarisonic Mia 2 would make the perfect gift for a friend or family member. I promise they will love it! It’s one of those items that once you start using, you don’t know how you ever lived without it! Get 15% off your Clarisonic purchase until 11.20.16 with code HERCAMPUS. Shop here! Read my other "Beauty Edit" posts here and here! Thank you to Clarisonic and Her Campus Media for partnering with me on this post!